The first four of the seven seals are known as the four horsemen of the Apocalypse. The first seal introduces the Antichrist (Revelation 6:1-2). The second seal causes great warfare (Revelation 6:3-4). The third of the seven seals causes famine (Revelation 6:5-6). The fourth seal brings about plague, further famine, and further warfare (Revelation 6:7-8). The fifth seal tells us of those who will be martyred for their faith in Christ during the end times (Revelation 6:9-11). God hears their cries for justice and will deliver it in His timing—in the form of the sixth seal, along with the trumpet and bowl judgements. When the sixth of the seven seals is broken, a devastating earthquake occurs, causing massive upheaval and terrible devastation—along with unusual astronomical phenomena (Revelation 6:12-14). Those who survive are right to cry out, “Fall on us and hide us from the face of him who sits on the throne and from the wrath of the Lamb! For the great day of their wrath has come, and who can stand?” (Revelation 6:16-17). The seven trumpets are described in Revelation 8:6 – 9:21. 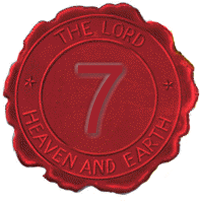 The seven trumpets are the “contents” of the seventh seal (Revelation 8:1-5).